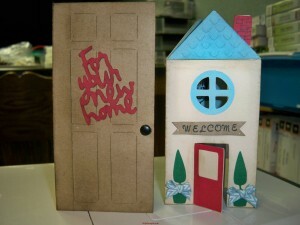 I cut this card using Wild Card Cricut cartridge , it was cut at 6 ” . Love that! 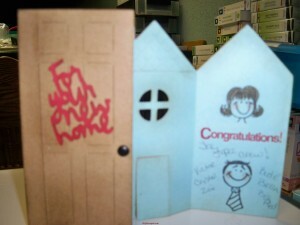 Cheryl’s Christmas card has the same door…. great minds think alike! Can you see the faces through the door and window? Thx , yes you can see them when you open them up .